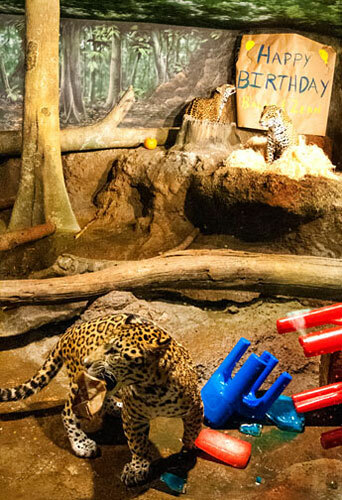 Happy Birthday to our Jaguar Cubs! 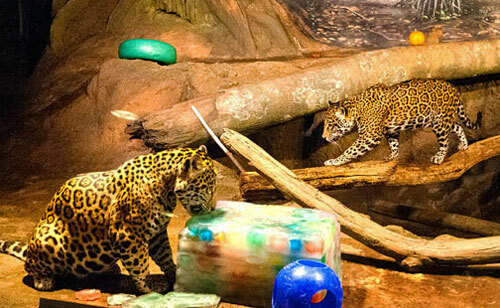 On Wednesday, November 13, the Milwaukee County Zoo recognized the first birthdays of male jaguar cubs, B’alam and Zean. 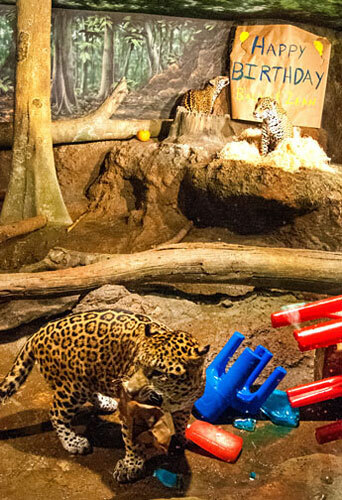 The celebration took place in the indoor jaguar exhibit of the Florence Mila Borchert Big Cat Country. 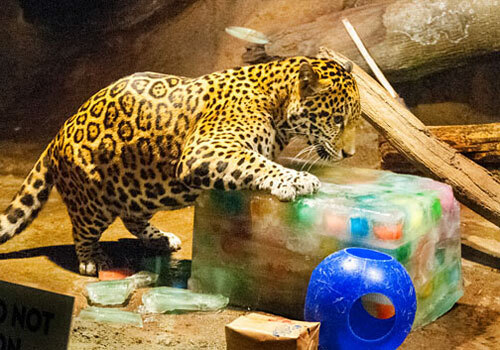 For the festivities, zookeepers provided our active cubs with some extra special enrichment items. 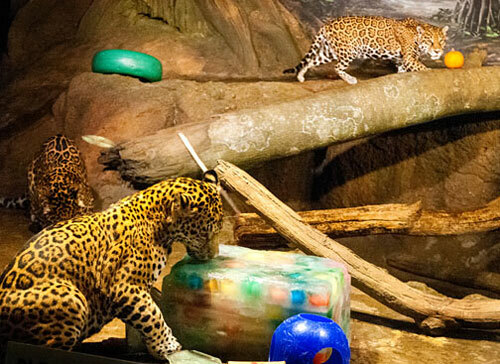 These “toys” provide enrichment to help the animals exhibit natural behaviors that would be seen in the wild. Items included wrapped presents with scents and nesting material, a layered ice cake with meat treats and food juices, along with a Happy Birthday sign made with non-toxic paints. 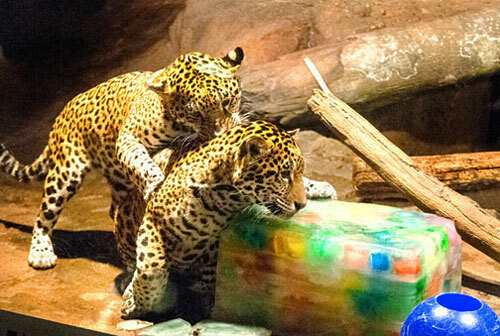 B’alam and Zean were born one year ago on November 13, to mother Stella and wild-born father, Pat. 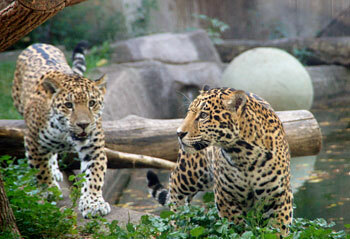 Pat’s genes are incredibly valuable for the conservation of the species, because he is a wild-born animal. Happy Birthday B’alam and Zean!